Amanda Huffman, the creator of Airman to Mom, interviews women who have served in the military or are currently serving in the military. Amanda also shares certain aspects of her military experience as an Air Force Officer, military spouse, veteran and mom. Welcome to episode 14 of the Women of the Military Podcast. Today’s guest is Kris Newton. Kris spent 14 years in the Air Force both active duty and Individual Mobilization Augmentee (IMA) in the reserve. When she got out, she earned my Bachelor of Science in Microbiology at Bowling Green State University. She has worked in Food Safety since until recently when she took a sales position that allows her to be her son's high school hockey team manager. Kris enlisted into the Air Force after high school. She had a twin sister and a half brother who was six months older than her and she knew her parents couldn’t afford to send three kids to college. She had debating on taking a year off and saving up money for college, but ended up joining the military instead. She had wanted to be part of the medical career field, but the job she wanted required a long wait before a spot would open up. Worried she would chicken out and not join the military if she had to wait so long, she enlisted without a job declared and ended up being assigned to Security Forces. Three years into her military service she was given the opportunity to cross train into a new job. She tried to get into the medical career field again, but was unsuccessful and instead cross trained to become a paralegal. While she was a paralegal she switched from active duty to an IMA. She joined the military to be able to pay for college and with her time and service and the GI Bill she was able to go to school and get her degree. The flexibility of the IMA program worked great with her college schedule and she was able to do things she hadn’t been a part of while on active duty. She talked about the struggle of being a military spouse and how she was looked at differently when she wasn’t in her uniform. She specifically talked about a struggle she had with housing where she was not given a chance to talk and only when her husband spoke the housing officer listened to the concerns. She was still serving in the military in the Reserves, but was assumed to be a spouse and was treated disrespectfully. Are you considering joining the military? Check out my free guide: A Girl's Guide to Military Life Would you like to be a guest on a future episode of Women of the Military? Sign up here. Welcome to episode 13 of the Women of the Military Podcast. Today’s guest is Christina Youngblood. Christina is an Army Veteran and an Air Force spouse currently stationed in Utah with her husband and two children, ages 6 and 5. She has always loved writing and has found a home for it on her blog Heart & Stripes. She loves being a stay at home mom, volunteering on base, spending time with her family and she is currently working on her Bachelor's Degree as well. She was raised in Florida but is experiencing her first winter in Utah after spending four years stationed in Belgium. Christina joined the Army in 2002 and by November 2003 she was on her way to Kuwait for the second wave of Iraqi Freedom. She was a paralegal attached to a finance unit. This meant that even though she was technically stationed in Kuwait she went into Iraq through out her 15-month deployment. This deployment experience at the age of 20 led to PTSD that it took a long time for her to diagnose and get help in her recovery process. She joined the National Guard in 2002, but with basic training, Advanced Individual Training as a paralegal and leaving for deployment in 2003 she didn’t experience being part of the National Guard until 2005 after she returned home from her deployment. There she found a full-time job working with the National Guard. She worked hand in hand with an active duty unit and got to see more of the active military side than most National Guard members do. We also talked about the role women played in the war even before they were allowed to serve in combat units. She was overseas in 2003 and found herself out on the front lines doing her job. And I served in 2010 and deployed with a combat infantry unit. The rule to allow women to serve on the front lines and have any job they wanted to do was only made because women had already proven themselves on the battlefield. Follow Christina on Social Media: Blog: Heart & Stripes Facebook Instagram Twitter Are you leaving the military? Get your free guide: Navigating Life After the Military Would you like to be a guest or know someone who might want to share their story for the Women of the Military Podcast? You can sign up here and I will be in touch with you shortly. Welcome to episode 12 of Women of the Military Podcast. Today’s guest is Susie Wilcox. I found Susie through a blog post on How to Milspouse where she shared her experience as a Marine and military spouse. After reading her story I knew I needed to have her as a guest on the podcast. On the advice of a friend who had joined the Marines a few years before Suzie started looking into the military. He urged her to join the Air Force, but she was strong willed and independent. She walked straight past the Air Force recruiter’s office and joined the Marines, she was at MEPS four days later. Susie joined the Marine Corps in August, 1999. She served four years active duty in the Corp. Her military occupation was water purification. Nowadays she is a mother of four teenagers, a yoga instructor and runs her blog, Susan Leda - Dishes are not for the faint of heart. Military Deployment She deployed when her boys were 2 and almost 1. She was part of the initial invasion into Iraq. Her team arrived in Kuwait and it was just a desert. The Engineering team which she was a part of worked to build the base up. It went from dirt to a functioning military base when they left a few months later to head into Iraq. She was only able to communicate back home twice. One time was a planned call home and the second time was when she got a red cross message that her grandfather had passed away. Because of where she was, she was unable to leave Iraq to head home. She talked about coming home and her one year old not remembering who she was and how much time it took to rebuild that bond. And she also talked about how much her two year old was affected by him leaving. He had a hard time letting her leave after arriving back home. Part of the reason she left the Marines when it was time to reenlist was because she didn't have the support network she needed. Susan found herself in the in the military. She was able to excel and learned a lot. And after leaving the military she was able to look at life with a different perspective. Mentioned in this episode: https://www.howtomilspouse.com/marine-to-milspouse/ Being a Military Spouse Was Harder than I thought Follow Susan on Social Media Blog: https://susanleda.blog/ Would you like to be a guest or know someone who might want to share their story for the Women of the Military Podcast? You can sign up here and I will be in touch with you shortly. Are you considering joining the military? Check out my free guide: A Girl's Guide to Military Life WILCO LIFE is an online boutique offering minimalist-style bags and accessories that meet military regulations. The company also carries products from veteran-owned companies that can be worn “off duty.” Use the code AIRMAN2MOM to save 15% on your purchase. Order here! Welcome to episode 11 of the Women of the Military Podcast. Today’s guest is Annette Wittenberg. Annette is a military spouse, mother to two teenagers (one being in college) and veteran who served in the Army for over seventeen years as a Chemical officer including a deployment to Iraq and Afghanistan. She retired and decided to trade in her boots for converse sneakers to be able to make up for lost time with her now teenagers. Since her retirement she has PCSed from Fort Polk, LA to Fairfax, VA to support her husband’s military career. Her blog A Wild Ride Called Life incorporates stories from her post military life in which she shares how she lives life with being a mom suffering from PTSD, anxiety and depression. Along with writing her blogs she also writes for other social media sources and has a podcast. Mil to Mil, PTSD, and more In the interview we talked about a number of topics. She and her husband have been married for 20 years and for her whole military career. After being married for a year and being in the Army for less than a year her daughter was born. She talked about being 23 in a foreign country (Germany) and having to grow up real fast as she raised her daughter and both her and her husband continued to serve on active duty. Two years later her son was born. She was lucky to find two great nannies to take care of her daughter that made it easier to leave her behind and go back to work. They moved back to the states when her son was three months old. She deployed Iraq and Afghanistan while serving in the Army. She attributes her Post Traumatic Stress Disorder not only to the experience of being overseas, but also having to deal with being assaulted when she was a cadet at training. When she expressed her story to others some people didn’t believe her and it taught her to be tough and stuff the emotions she was feeling. 17 years of stuffing her feelings and dealing with going overseas eventually became a breaking point. Her blog gives her an opportunity to share experience and help others. You can learn more about Annette at her blog: www.awildridecalledlife.com And connect with her through her social media links: Facebook Instagram Mentioned in this episode: https://medium.com/ https://vetpreneurtribe.com/ https://thechicsite.com/about/ (Rachel Hollis) Are you leaving the military? Get your free guide: Navigating Life After the Military Would you like to be a guest on a future episode of Women of the Military? Sign up here. Today, I interviewed Dina Farmer. Dina started her career in the Air Force serving on active duty. She left active duty through the Palace Chase program and continued her service through the Air National Guard. Dina enlisted into the Air Force is 2005. She joined the military when she was faced with a high medical bill and needed a way to pay for college. She started her career in the Air Force in the Communication Squadron. When given the opportunity to switch career fields she did and Biomedical Engineering. While she was working in the National Guard someone from the Public Affairs shopped found out she was majoring in Photography. They recruited her to work in the Public Affairs as a photojournalist. She loved her job as a photojournalist. And her advice to girls joining the military is to wait to get the job she wants and not rush into the military. One of the things we discussed in the interview was the struggle of being a mil to mil couple and having a family while serving in the Air Force. Having to work exercises while her husband was deployed was extremely difficult as the 12 hour shifts were not covered by base childcare. Finding childcare to cover the extra hours was very difficult and she didn't get sympathy from her leadership. When she left active duty to serve via the Air National Guard she found a much more supportive leadership. When her husband was deployed they were able to work with her and she felt like it was a family. When her husband was transferred to Hawaii she was unable to find a job at the National Guard unit there and separated from the military. Mentioned in this episode: https://www.kithandkintravels.com/ Dina's Social Contacts: Facebook Instagram Pinterest Would you like to be a guest or know someone who might want to share their story for the Women of the Military Podcast? You can sign up here and I will be in touch with you shortly. Are you considering joining the military? Check out my free guide: A Girl's Guide to Military Life WILCO LIFE is an online boutique offering minimalist-style bags and accessories that meet military regulations. The company also carries products from veteran-owned companies that can be worn “off duty.” Use the code AIRMAN2MOM to save 15% on your purchase. Order here! Welcome to Episode 9 of Women of the Military Podcast. In today's episode I interviewed Shakeia Kegler. Shakeia joined the Navy in 2011 and was sent to Japan for her first assignment. The day she landed in Japan she learned her ship the USS George Washington was about to head out for a six month deployment. She quickly found her sea legs as she headed out to sea. With a deployment rotation of six months deployed and six months home the three years she spent in Japan were an adventure. In today's interview we talked about some of the challenges of being on a ship with so many men. There were highs and lows, but one of the most important lessons she learned from her experience was the importance of making good decisions and policing themselves. She saw how people (mainly women) making poor choices would follow them through their time in the Navy. While the Navy is big, it is also very small and the stories that people told would follow you even after you moved on to the next assignment. After leaving the military to come home to be with her family her family noticed changes in her. She talked about how the time they were separated both her family and she changed and since they were seperated so often the changes were easy to spot. She had experienced so much in her time in the military. She left home shortly after graduating high school and headed out on an adventure with the Navy. Through her time in the Navy she learned a lot about herself and grew into the person she is today. Mentioned in this episode: https://www.govlia.com/ skegler@govlia.com Govlia Social Contacts: Facebook LinkedIn Twitter Considering joining the military? Check out my free guide A Girls Guide to Military Life. Find answers to questions you have and ones you don’t even know to ask. This guide will give you a firm starting point as you begin your military career. Click here. Would you like to be a guest or know someone who might want to share their story for the Women of the Military Podcast? You can sign up here and I will be in touch with you shortly. Welcome to episode 8 of Women of the Military Podcast. In today’s episode your host Amanda Huffman interviews Erin Sears. Erin served in the US Air Force on Active Duty from December 2006 through July 2012 as an Acquisitions and Engineering Officer. She earned her commissioned through the Reserve Officer Training Program at Embry-Riddle. Listen to her experience of why she joined the Air Force, military life and why she left the military behind to be a stay at home mom and military spouse. Erin met her husband in college, but decided before getting married she wanted to see the world. This meant they were stationed in two locations for their early career. She married her husband on paper in a story not uncommon to other mil to mil spouses. They ended up with 3 different wedding dates and picked one to celebrate each year. She and her husband were eventually reunited and able to be stationed together for the rest of her career. Even if it included a over hour commute to make it happen. When she decided she wanted to leave the military the first request was rejected as they saw her as to valuable to leave. But then when she applied through a different program, she was able to leave the service shortly after her son was born. Favorite part of Military Service Her favorite part of her military service was when she was able to go out in the field with the civilian crew. They would go out to help troubleshoot problems that the regular mechanics couldn't figure out. Not all the officers had the opportunity to go out in the field. But the guys she worked with trusted her and brought her along to learn. It was also a chance to get out of the office. If you are considering joining the Air Force as a Developmental Engineer this episode will give you a peek into the early years of what your career might be like. Are you considering joining the military? Check out my free guide to help you prepare for military life. Click here. Would you like to be a guest or know someone who might want to share their story for the Women of the Military Podcast? You can sign up here and I will be in touch with you shortly. 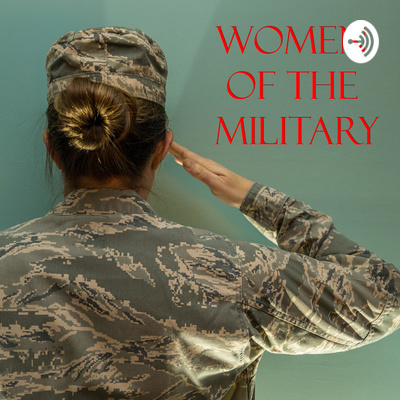 Welcome to episode seven of Women of the Military Podcast. In today’s episode your host Amanda Huffman interviews Ashley Metesh-McCoy. Ashley grew up as a military brat. She served in the Army National Guard while attending college and participating in the Reserve Officer Training Corps (ROTC) program. While doing this she was able to combine her Montgomery GI Bill and ROTC scholarship to graduate from college with almost no debt. Off to Afghanistan Her guard unit was mobilized to deploy shortly after she graduated from college. She was not slated to deploy since she was still at training for her job as a new 2d Lt. When her unit had almost completed training her boss asked if she would be willing to go she said yes and a day after Christmas, she found herself headed to Fort Sill to prepare to deploy to Afghanistan. When she arrived in Afghanistan she found herself tasked to the S1 (Personnel) shop. After getting the unit up and running she was ready to do something else. She was able to get assigned to a Human Intelligence Exploitation Team (HUMINT) team. In this job she was able to go out and see different parts of Afghanistan and felt she was making an impact. She also helped to hand out and collect shoes to girls and boys in Afghanistan that she saw on missions outside the wire. Coming Home from War Upon coming home from Afghanistan, she struggled to find a job in the civilian world. Her only job experience after college was going to Afghanistan and with a recession and being unable to translate the work, she did overseas she struggled to transition back to civilian life. This episode talked specifically about the way that viewing the world after a deployment can be dark and black and white. We dived deep into the loss of purpose and the struggle to find meaning after spending time overseas. This episode talked about so many things I experienced, but hadn’t been able to put into words. I am so thankful for Ashley’s willingness to share her story. I hope this episode can help those struggling with coming home. And hopefully help military spouses and significant others understand some of what happens inside the head of a service member upon coming home. Ashley today: Ashley loves bringing people closer through unique travel experiences. To her, travel is an opportunity to grow individually and in relationships through shared experiences in new cultures. Ashley is a US Army Veteran, mom of a curious and energetic four-year-old daughter, wife of an Army Soldier, dog lover, foodie, self-proclaimed artist, and empathetic soul. Through her business and volunteer activities she is always seeking ways to give back to the military community. Learn more about Ashley here: Kinship Vacations Mentioned in this Episode: Changing the conversation about Mental Health Coming Home from Afghanistan Are you Leaving the Military? Get my free guide: Navigating Life After the Military! Would you like to be a guest or know someone who might want to share their story for the Women of the Military Podcast? You can sign up here and I will be in touch with you shortly. Welcome to episode six of Women of the Military Podcast. In today’s episode, your host Amanda Huffman interviews Mandy Snell. Mandy was accepted and attended the Naval Academy. She served in the military (10 years on active duty and 10 years in the Reserves) for a total of twenty years before retiring as a Lt Commander. While attending the Naval Academy, Mandy was told that she didn’t deserve her spot at the Academy. She was told that she was an example of why women shouldn’t serve in the military. As a Ensign, she became a mom and faced complications due to being both single mom and serving in the military. Despite facing these challenges in her early career, she was able to serve in the military and retire as a Lt Commander. Through her career, she deployed twice. Before and after 9/11. And was one of the first Surface Warfare Officers to serve on a ship as a female. Listen to her story to be inspired and learn from her experience in the Navy. My only regret for this episode is that I wish I had asked more questions. I will have to have her back in the future. Mentioned in this episode: www.airmantomom.com 31 Day Deployment Series Do I Deserve Your Thanks of Veteran’s Day? Women of the Military Sign Up Form Guide for Joining the Military Would you like to be a guest or know someone who might want to share their story for the Women of the Military Podcast? You can sign up here and I will be in touch with you shortly. Are you Leaving the Military? Get my free guide: Navigating Life After the Military! Want to stay connected with Women of the Military, check out our Facebook Group. You can also follow Amanda through Airman to Mom on Facebook, Instagram, Twitter, and Pinterest. WILCO LIFE is an online boutique offering minimalist-style bags and accessories that meet military regulations. The company also carries products from veteran-owned companies that can be worn “off duty.” Use the code AIRMAN2MOM to save 15% on your purchase. Order here! A Female Vietnam Veteran - Episode 5 Welcome to Episode 5 of Women of the Military podcast. In today's episode Amanda interviews Janet Apling. Janet was an active duty Army Officer during the Vietnam War. Military Service Janet served in the Army during Vietnam. She never deployed overseas, but made critical contributions to the change allowing women to be part of the military. Her husband was a civilian and struggled to be accepted as a dependent. She left active duty when she became pregnant with her first child, which was the standard practice required for women who served during the Vietnam era. She served in the Reserves and was the first woman to serve in the Wisconsin National Guard who was not in a medical coded career field. Women in the military have always faced a problem with certain reputation, whether it pertained to you or not, by both civilians and the men that we worked with. During this period in our history a large number of military male Officers and NCOs didn’t really want us there and made it known through their attitude and the sexual harassment handed out. Unfortunately it wasn’t reported because we were accused of asking for that type of treatment. If you reported it your life was made worse. I was lucky in a sense because the experience I was faced with was just before graduation. I was able to leave the post and not have to deal with it on a daily basis. It also sort of prepared me for future encounters of the same sort. These encounters have left me with Post Traumatic Stress Disorder/Military Sexual Trauma. Considering joining the military? Check out my free guide A Girls Guide to Military Life. Find answers to questions you have and ones you don’t even know to ask. This guide will give you a firm starting point as you begin your military career. Click here. Would you like to be a guest or know someone who might want to share their story for the Women of the Military Podcast? You can sign up here and I will be in touch with you shortly. Welcome to episode four of Women of the Military Podcast. In today’s episode, your host Amanda Huffman interviews Tiye Young. Tiye Young is a Charlotte native currently serving in the North Carolina National Guard after serving on active duty in the Army for over six years. She is also a cancer survivor and is about to celebrate her one-year anniversary of being cancer free. At such a young age she has already accomplished so much, but that doesn’t mean she doesn’t have big plans for the future. Don’t miss the incredible story of Tiye Young! Military Service She joined the military after participating in the Junior Reserve Officer Training Program (JROTC) when a former female service member took her under her wing and inspired her to join the military. After graduating from high school, she went to college and received a scholarship through the ROTC program which led her to commission into the Army when she graduated college. She was trained as a Chemical Officer, but her jobs on active duty led her to do various tasks and assignments including deploying as an Executive Officer (XO). Her career gave her some amazing opportunities and things that you might not even expect an Army Officer to do. She was also the 2nd Runner up in the Ms. Veteran America. The Ms. Veteran America competition highlights more than the strength, courage, and sacrifice of our nation’s military women, but also reminds us that these women are Mothers, Daughters, Sisters, and Wives. She has had experiences where she was overlooked and undermined because she was a female serving on in the military. She is a powerful voice for the female military community. You will not be disappointed when you take the time to listen to her wisdom, experience, and inspirational story. She also runs Ty M Carolina which is a branding, marketing and consulting business where she advertises veteran business to help them get the exposure that they need. Mentioned in this episode Ms. Veteran America Ty M Carolina Ty M Carolina on Social: Facebook Instagram Considering joining the military? Check out my free guide A Girls Guide to Military Life. Find answers to questions you have and ones you don’t even know to ask. This guide will give you a firm starting point as you begin your military career. Click here. In this interview, we talk about Cynthia's journey to military life. She joined the military through the Reserve Officer Training Corps program. A program she joined just to learn a little more about the military. One of the biggest struggles she had during ROTC was meeting height and weight standards and physical fitness. Listen to how she worked hard to overcome her struggles to become an officer in the Air Force. She also discusses her recent deployment to Turkey. She talks about what it was like to deploy to Turkey. What it was like to be a mom deployed and what challenges she faced while serving overseas. We also discuss the challenges her husband who is also serving on active duty faced. He was both an officer and dad to their daughter through the deployment. It is interesting how being married to someone in the military (mil to mil) causes a give and take relationship. This is different than what many military spouses experience as they are expected to pick up the slack because they are not in the military. Cynthia recently launched A Faithful Step. A Faithful Step’s mission is to encourage and equip women to embrace their femininity and understand they are worthy and created with a purpose, inspiring them to live courageously, one step at a time, in every aspect of their life, for God’s Glory. Check out the full podcast episode here. Mentioned in this episode: 9/11 Reflection Ripple Effect of September 11th A Faithful Step A Faithful Step on social: Facebook Pinterest Instagram Are you about to face a deployment? Check out Amanda's free guide for deployment. She has created a guide for military spouses and one for military members. Get yours today! Would you like to be a guest on a future episode of Women of the Military? Sign up here. Welcome to episode two of Women of the Military Podcast. In today’s episode your host Amanda Huffman will tell you about her military experience, challenges and more. Amanda served in the military for six years as an Air Force Civil Engineer. Her first assignment was to Holloman AFB in Alamogordo, NM. There she was assigned to the 49th Civil Engineer Squadron. She worked in both the Environmental Flight and the Engineering Flight. She deployed to Afghanistan in 2010 as part of a Provincial Reconstruction Team. She ended her career at Wright Patterson AFB, Ohio working at Air Force Material Command doing Energy Management. Amanda was married to her husband the whole time she served on active duty. They met in college while they were both working to gain their commission into the Air Force. They have been married for 12 years. Amanda left the military when their first son was born after experiencing a deployment and dealing with the various challenges mil to mil life brings. Amanda military experience changed her life and she was able to learn so much about herself through the different military experiences. Now she works as a blogger and podcaster to share the stories of other women who have served or currently serve in the Air Force. Mentioned in this episode: www.airmantomom.com 31 Day Deployment Series Women of the Military Sign Up Form Want to stay connected with Women of the Military, check out our Facebook Group. You can also follow Amanda through Airman to Mom on Facebook, Instagram, Twitter and Pinterest. Considering joining the military? Check out my free guide to joining the military. Find answers to questions you have and ones you don’t even know to ask. This guide will give you a firm starting point as you begin your military career. Click here. Would you like to be a guest or know someone who might want to share their story for the Women of the Military Podcast? You can sign up here and I will be in touch with you shortly. Are you considering joining the military? Check out my free guide: A Girl's Guide to Military Life WILCO LIFE is an online boutique offering minimalist-style bags and accessories that meet military regulations. The company also carries products from veteran-owned companies that can be worn “off duty.” Use the code AIRMAN2MOM to save 15% on your purchase. Order here! Welcome to episode one of Women of the Military Podcast. In today’s episode your host Amanda Huffman will share the why behind the podcast, where the idea came from and why I picked military women as the focus point. It is always important to know the why behind the story. So, I’m starting off the podcast with how the podcast came to be and why I am passionate in sharing the stories of women who have served and those who continue to serve in the military. In 2017, I embarked on a 31 journey of telling deployment stories. My goal was to get back to my original focus when I started the blog, sharing military experiences. The response surprised me. I asked so many people to share the story and the response was always from women. I actually only received one response from a male and it was not from a male I had deployed with or knew. The stories from these women encouraged and inspired me. I had to know more about what women were doing for our country. I decided to follow up 31 Days of Deployment stories with 31 Days of Women in the Military. In the process of moving and life happening when it came time for the series I was worn out and felt overwhelmed. Even though I had collected over 25 stories I didn’t think putting all the stories in a one-month series was the best option. A friend suggested sharing stories over the year in 2019. An idea was born and then the podcast idea followed shortly after. I am so excited for 2019. As I launch the podcast and share some of the stories I have collected over the past year on my blog. There are a few more whys, but why don’t you check it out on the podcast right here. Are you considering joining the military? Check out my free guide: A Girl's Guide to Military Life Would you like to be a guest on a future episode of Women of the Military? Sign up here.